Mark Kirkland with the antique cameras used in The Moving Picture Co. 1914. Moy Bastie - seen early in the film it is the a box-shaped camera. Designed in England and patented in 1909, the Moy was the first camera used to film a "Hollywood" production at the Sileg Studios. 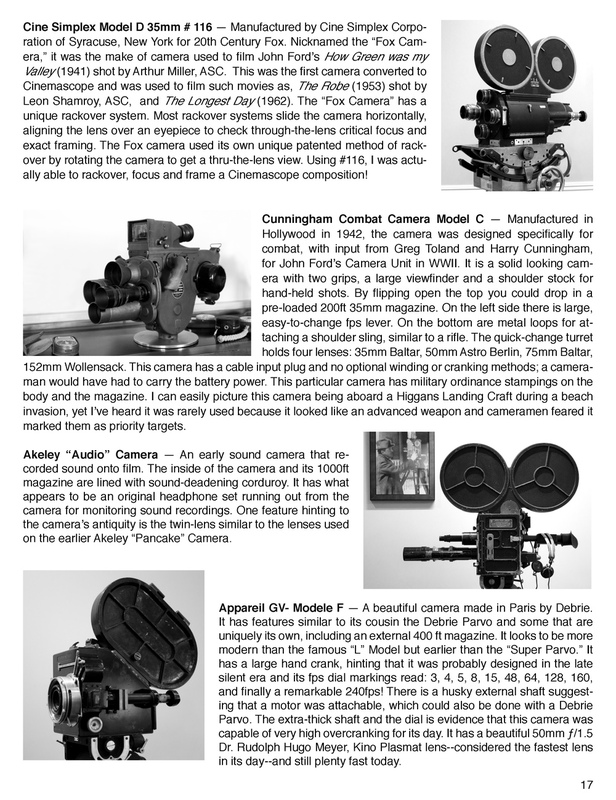 These cameras are referred to as "British Upright" cameras. They are made of Mohagany and employ a bicycle chain as part of their mechanism. 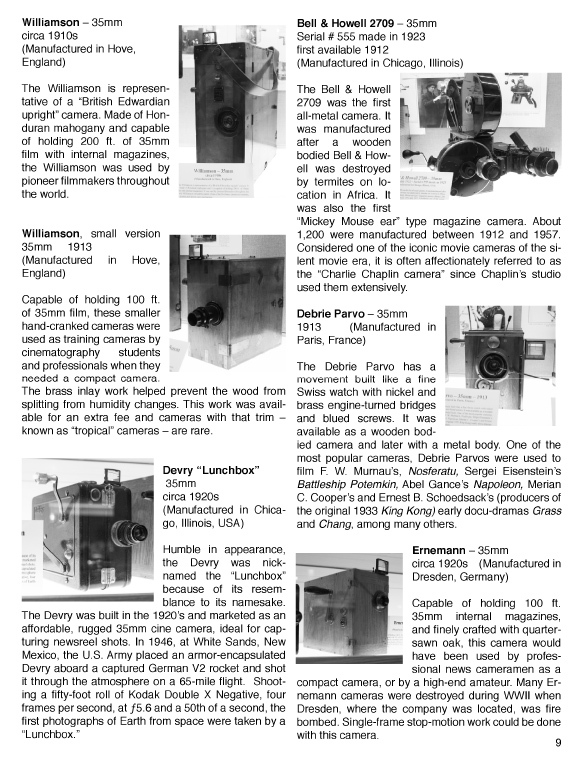 Pathé Professionale -- the camera with the square magazines -- was owned and used by one of D. W. Griffith's cameramen. 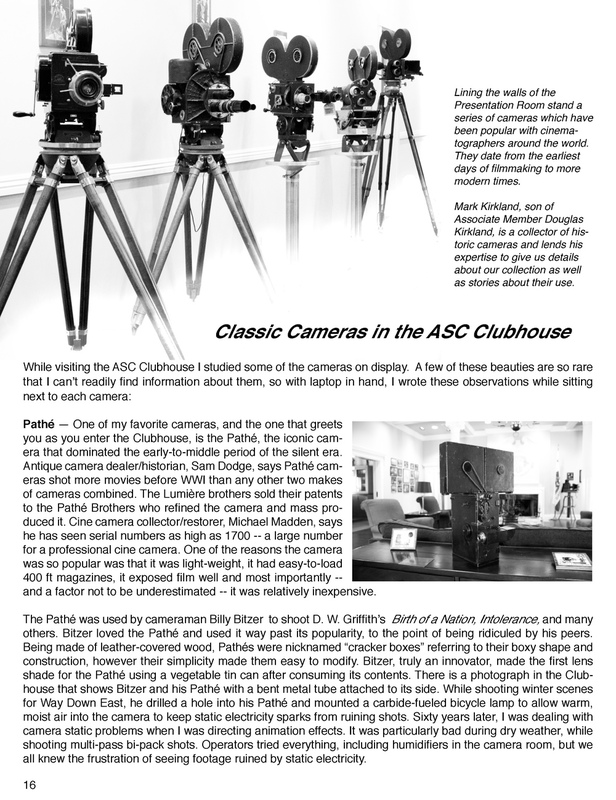 Up until WWI the Pathé camera was the most popular camera in the world. During the period from roughly between 1910 to 1915 Pathés shot more footage than all other makes combined. Bell & Howell 2709 - the primary camera used was the first all metal camera and it was the first to use the rounded "Mickey Mouse" ear-shaped magazines. The one used in my film is serial #90 and it was sold to Signal Films in Los Angeles in 1915. 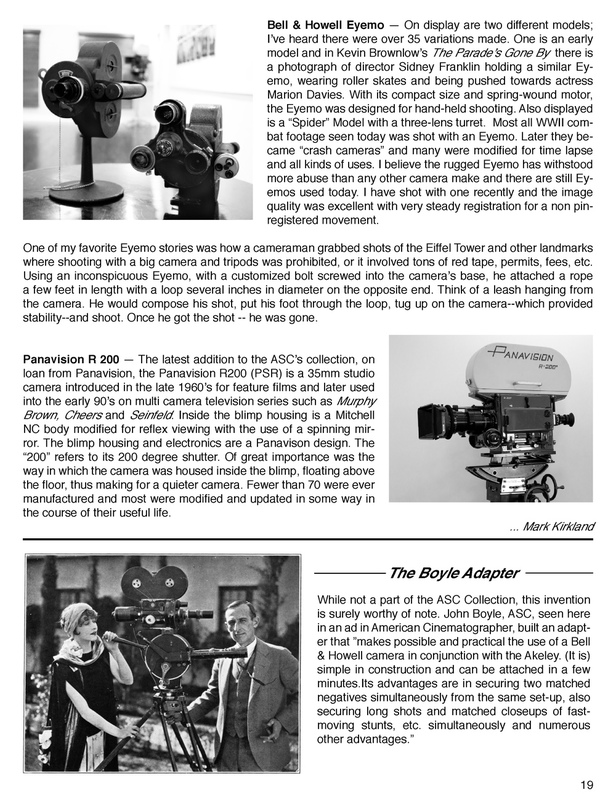 It was owned and used by cinematographer, Faxon Dean, ASC, who was Mary Miles Mintor's favorite cameraman. Faxon shot many silent films and worked uncredited on the film "Wings". Akeley "Pancake" - nicknamed for its round shape, along with its revolutionary tripod, it was the "action" camera of the era. 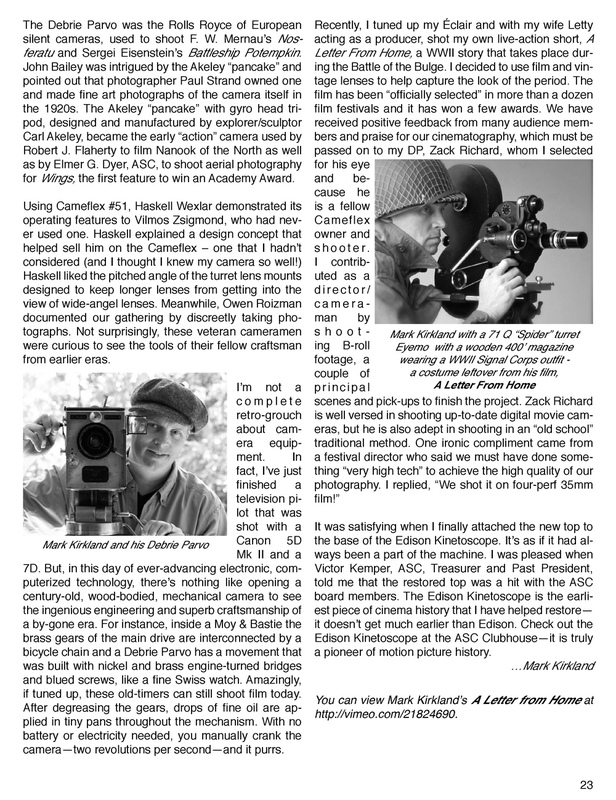 "Haskell the Action Cameraman" is famed filmaker / cinematographer, Haskell Wexlar, ASC. Ironically, we discovered, that Haskell did actually use this very Akeley camera when he was a young cameraman working in his hometown of Chicago. Besides acting in the film, Wexler shot much of the fight scene with an Éclair Cameflex -- a favorite camera that he used throughout his career.